A new bicycle design created at Purdue University could erase the need for parents to hold on to the back of a two-wheel bicycle as their child learns how to ride. 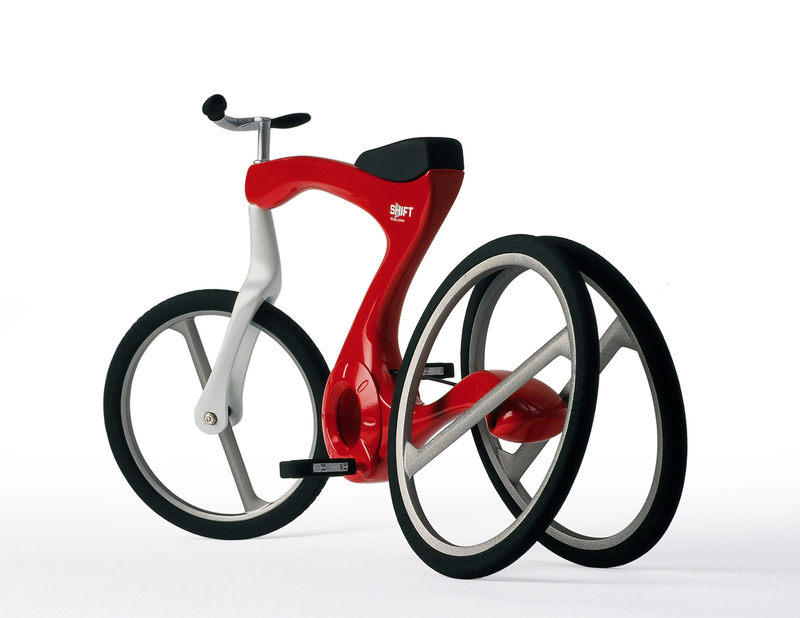 The bike, called SHIFT, was created by an industrial design professor and two students. Their designed topped 853 entrants from 56 countries to win the $15,000 first prize in the 9th International Bicycle Design Competition in Taiwan. "Most children learn how to ride a bike on training wheels, but these simply keep the bike from tipping," said Scott S. Shim, an assistant professor in the College of Liberal Arts. "Our bike allows children to learn how to balance themselves as they ride instead of looking back to see if their parent is still holding the bike. "This bicycle, which is for toddlers, was designed with my 4-year-old son, Kevin, in mind." 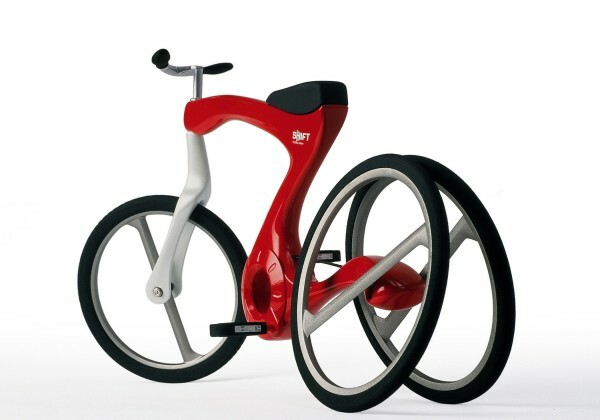 The 16-inch-wheel bicycle looks like a tricycle, but as the child gains momentum and learns to balance, the two rear wheels shift inward to merge into one wheel. 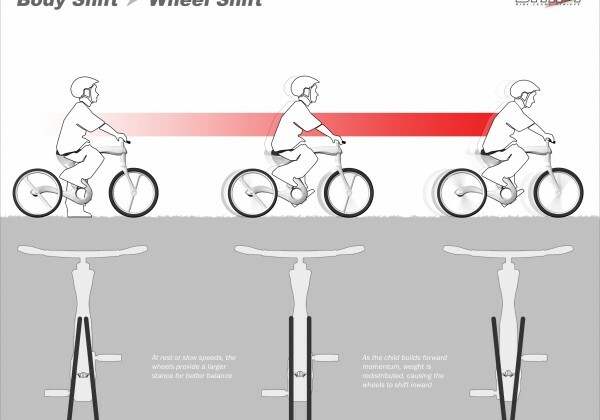 This causes the balance to gradually shift from the bicycle to the child. 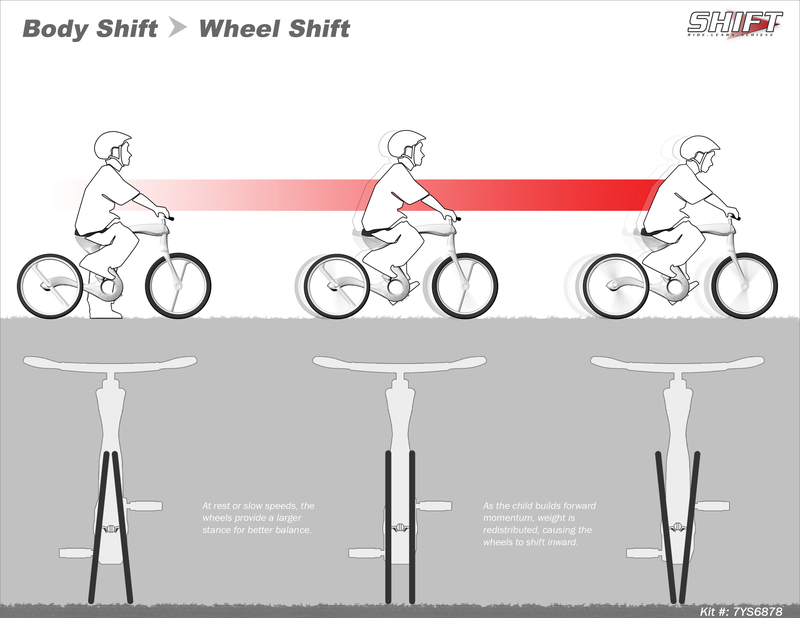 "SHIFT provides more balance at lower speeds when stability is most critical, especially when starting and stopping, by providing a larger stance," Shim said.> He collaborated with recent Purdue industrial design graduate, Ryan Lightbody, who now works at Strategix Vision in Seattle, and current student, Matt Grossman, a senior from Carmel, Ind. All three are members of the Industrial Designers Society of America. "None of us had ever designed a bicycle before, so we thought we might be able to approach the competition from a fresh angle," said Grossman, who graduates this spring. "This in itself was pretty motivating. One thing I love about the design process is that you eventually become a mini-expert on whatever it is you're designing through research and lots of brainstorming.
" In the fall, the team's design was one of 24 to be selected for the final round of competition. Then the team had three months to create a quarter-scale model of the design. The team was announced the winner in March, and a working prototype was created to exhibit in Taipei, Taiwan. "Now, we are waiting to hear from manufacturers who have expressed interest in producing the design," said Shim, whose area of expertise is consumer electronics. "The award ceremony took place at Asia's largest cycle trade show, Taipei International Cycle Show, where more than 500 companies and manufacturers from all around the world attended." The annual International Bicycle Design Competition is sponsored by the Taiwan Department of Industrial Technology in the Ministry of Economic Affairs and was managed by the Cycling & Health Tech Industry Research and Development Center. 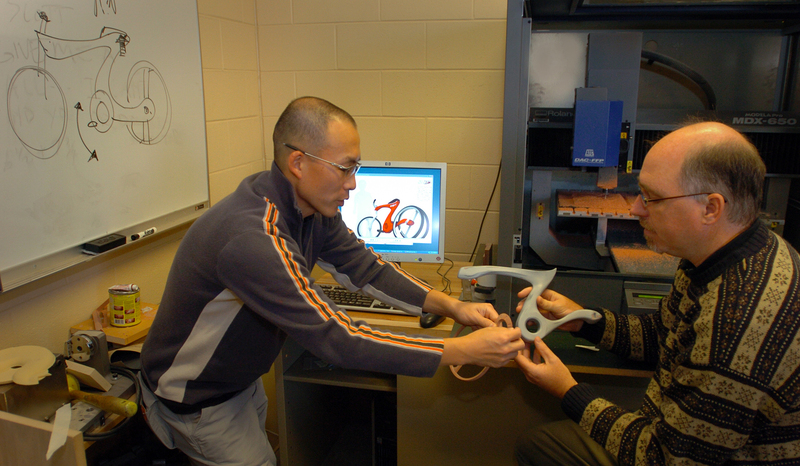 Purdue's industrial design program is part of the Patti and Rusty Rueff Department of Visual and Performing Arts. Purdue industrial design graduates have found jobs in corporations and consulting firms focusing on the design and development of products for manufacturing. 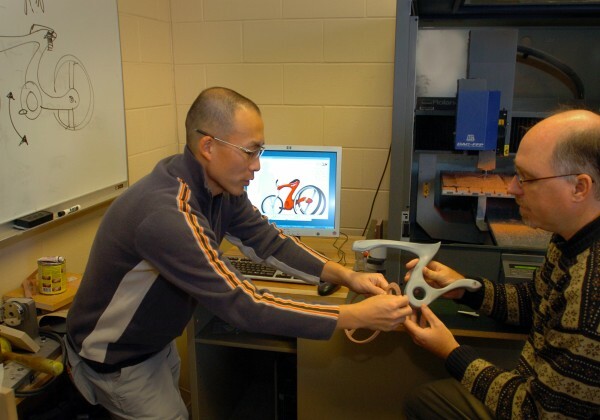 Industrial design students also have worked in transportation, commercial and residential equipment, recreation, medical equipment, electronics, and exhibits. In 2004 Shim and Steve Visser, associate professor of industrial design, won international awards for their concept of a database-building device that allows neighbors to borrow household items. The BLU ("Borrow, Lend, Unite") Network, allows prospective borrowers to connect to the database through a module that connects to other computers in the area to indicate the borrowers' needs. Shim is currently working on a number of projects, including an ergonomic cushion for people to use when sitting cross-legged in the floor. "I see so many students sitting in this position while waiting for class in the hallway, and it's a very uncomfortable way to sit in the floor," Shim said. "But, this is how industrial designers think, how can we make daily life better for someone. ".